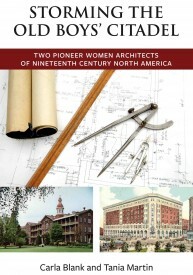 Storming the Oldboys’ Citadel, Two Pioneer Women Architects of Nineteenth Century North America, by Carla Blank and Tania Martin, focuses on the lives and works of two of the very first women of European ancestry to practice architecture in North America during the nineteenth century. The book is due to appear on November 20, 2014. Mother Joseph of the Sacred Heart, born Esther Pariseau in 1823 in Saint-Elzéar, Québec, is credited with works built in the present states of Washington, Idaho, Oregon, and in the province of British Columbia. Known as the “sister with a hammer,” Mother Joseph is honored for her work by the State of Washington as one of two people to represent it in the National Statuary Hall Collection in Washington, DC. Louise Blanchard Bethune, born in 1856 in upstate New York, designed and built may important works in the city of Buffalo, New York, whose architecture is renowned. 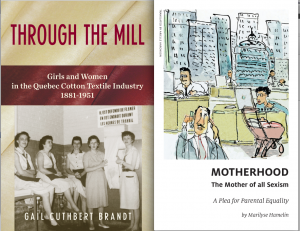 In addition to providing fascinating portraits of these two outstanding women, Storming the Oldboys’ Citadel follows the evolving histories of two Revival-style multi-use public buidlings considered to be these women’s signature legacies. They are Providence Academay in Vancouver, Washington, for Mother Joseph and Hotel Lafayette in Buffalo, New York for Louise Bethune. Listed on the United States’ National Register of Historic Places, they both have continued to function in their respective communities, with extensive additions and other changes made to each architect’s original structure. The book addresses the importance and difficulties of conserving heritage buildings and transforming them for new uses. It also raises issues of lost or hidden aspects of North American history, including that of the large French or Canadien and Métis population in the Pacific Northwest. Carla Blank is the author of Live On Stage! and Rediscovering America: The Making of Multicultural America, 1900–2000, and is a coeditor of PowWow: Charting the Fault Lines of the American Experience—Short Fiction from Then to Now. She has written topical essays related to arts and culture for El Pais, Green Magazine, Hungry Mind Review, and the San Francisco Chronicle, and online at CounterPunch and Konch magazines. She lives in Oakland, California. Tania Martin has published essays in many scholarly journals related to her investigations into the history of architecture, the built environment, and North American religious institutional structures. 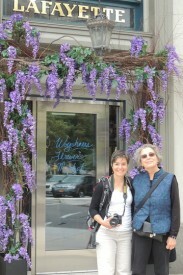 She is a professor at the Université Laval School of Architecture where she has held the Canada Research Chair in Built Religious Heritage since 2005; she served a four-year term as an appointed member of the Historic Sites and Monuments Board of Canada; and is also affiliated with several professional associations, including the Vernacular Architecture Forum. She lives in Quebec City.